Over the last decade, the rise of web services has made it possible to observe human behavior in situ at a scale and fidelity previously unimaginable. Using examples from web search, I will highlight how observational logs provide a rich new lens onto the diversity of searchers, tasks, and interactivity that characterize information systems today, and how experimental logs have revolutionized the way in which web-based systems are designed and evaluated. Although logs provide a great deal of information about what people are doing, they provide little insight about why they are doing so or whether they are satisfied. Complementary methods from field observations, laboratory studies, and panels are necessary to provide a more complete understanding of search behavior and to enable the development of new search capabilities. Susan Dumais a Technical Fellow at Microsoft, Deputy Managing Director of the Microsoft Research AI Lab in Redmond, and an adjunct professor in the Information School at the University of Washington. Prior to joining Microsoft, she was at Bell Labs, where she worked on Latent Semantic Analysis, methods for combining search and navigation, and organizational impacts of information technology. Her current research focuses on user modeling and personalization, context and search, and temporal dynamics of information. She has worked closely with several Microsoft groups (Bing, Windows Desktop Search, SharePoint, and Office Online Help) on search-related innovations. 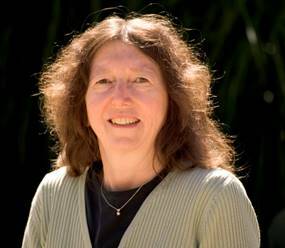 Susan has published widely in the fields of information science, human-computer interaction and cognitive science, and holds several patents on novel retrieval algorithms and interfaces. She is Past-Chair of ACM's Special Interest Group in Information Retrieval (SIGIR), and serves on several editorial boards, technical program committees, and government panels. She was elected to the CHI Academy in 2005, an ACM Fellow in 2006, received the SIGIR Gerard Salton Award for Lifetime Achievement in 2009, was elected to the National Academy of Engineering (NAE) in 2011, received the ACM Athena Lecturer and Tony Kent Strix Awards in 2014, was elected to the American Academy of Arts and Sciences (AAAS) in 2015, and received the Lifetime Achievement Award from Indiana University Department of Psychological and Brain Science in 2016.